Action/Adventure//Sci-Fi, USA, 2018, 155 min. Synopsis This synopsis is too short and may not include the required detailed description of the entire plot. We normally require that synopses be at least 10 lines long. If you have seen this title, please help us by improving and expanding this synopsis. 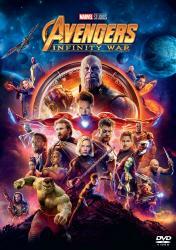 The Avengers must unite once again to fight the Mad Titan Thanos as he attempts to locate the last of the Infinity Stones.